As any information technology (IT) professional knows, you need an IT infrastructure that’s secure and trustworthy, one that’s robust enough to achieve your current needs and agile enough to grow as a company expands. Well, the same can be said of an IT solutions partner. Black Box Corporation is a leading technology solutions provider that’s helped its customers build, manage, optimize, and secure IT infrastructure for more than 40 years. 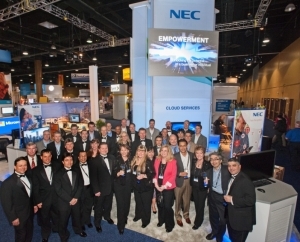 Also, for the majority of that time, Black Box has been a trusted collaborator with NEC as a leading North American dealer of NEC solutions. Recently, this partnership took a huge step forward as the two companies expanded their North American agreement into a global distribution channel. The new arrangement means that Black Box can now offer NEC’s unified communications and collaboration (UCC) solution, UNIVERGE 3C, to its global clients, as it has for its North American clients. UNIVERGE 3C integrates multiple media types to ensure that employees have the information they need anywhere, anytime, and from any device. “Our clients are looking to simplify their IT and communications environment, while at the same time bring more capabilities to that environment relative to collaboration tools, network management, and other aspects. So, UCC has been a crown jewel for us,” said McAndrew. It’s an approach NEC calls Smart Enterprise. For nearly four decades, NEC and Black Box have collaborated to provide North American companies with agile, resilient, secure, and united IT and voice solutions. This expanded agreement will ensure global availability to the powerful, converged business applications of UCC – solutions that empower a workforce from virtually anywhere. “We have put together a very cohesive and full portfolio of solutions, and having an integrator like Black Box that can go out there and put all those pieces together, make the commitment and serve those clients both from a sales perspective and operations as well as installation really means a lot. I’m glad that our views are so closely aligned going forward, and I think we’re really going to see a lot of success in the future,” said Levenberg. 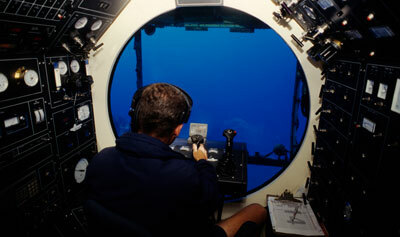 Case in point – recently Fabien Cousteau, the grandson of the late Jacques Cousteau, famed underwater photographer and scientific researcher/oceanographer, announced he will make his home under the sea for 31 days, which would outdo his famous grandfather’s record of 30 days, which was set nearly 50 years ago. But the challenge is not just some “Harry Houdini” personal challenge the 46-year-old wants to take on. Cousteau will be there will a full team of scientific researchers to study the underwater environment, in an attempt to understand its challenges and unique issues. But perhaps the most interesting thing about this scenario is the fact that, with all of the new technologies available, Cousteau will still be connected to the world through the use of modern communications systems now available to a global market. 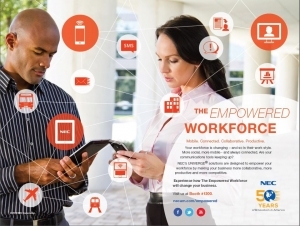 NEC’s UNIVERGE 3C™ UC system enables people to communicate “anywhere, anytime from any device.” 3C handles the seamless integration of multiple devices and platforms, and is truly an all-in-one solution to communications in the 21st century. A software-based solution that allows integration of multiple media aspects, communication, and collaboration is a Godsend for any industry that needs a way to communicate at different times or even across different time zones. The built-in recording capability is a big plus, as it allows people to record and document events at a moment’s notice, no matter where they are located. It also offers some security, and peace of mind, that, should something go wrong, one could easily alert people from the outside world without having to go to another location. The hospitality industry embraces the ease of use, mobility and robust capabilities available with this technology and others. The average traveler is constantly connected, consistently mobile and expects to be plugged in all the time. Or at least have the option to stay in contact while on the move. Many hotels and motels, resorts, and other locations are starting to implement this technology by offering not only wireless, but integrated communications solutions that allow you access to your virtual desktop from your mobile devices and other portals through the use of Desktop-as-a-Service (DaaS)and 3C solutions. DaaS provides access to your desktop from the cloud, no matter your location. It is a virtual solution to access information and functionality without physically being at the location where the data resides. NEC’s DaaS offering creates a secure gateway between the individual’s location and the virtual desktop, then passes the information back to the person, no matter where he is. Some newer hotels even have ways for guests to control the room technology without ever leaving their beds, such as thermostats and cooling systems, lights, and even security systems. The ability for guests to interact with technology in their room seems almost space age – but is already here. There’s no doubt the world is changing and new technologies enable amazing things which would only have been dreamt of in the past. So, when Jane and George check into a hotel, instead of having to fumble around for their ID and their credit card, a facial recognition solution, such as NEC’s VIP guest recognition system, NeoFace® Watch, will recognize them as they walk up to the front desk. They can use an app to check into their room and may have the option to pay their bill by scanning their fingerprint at the checkout area. Once inside their room, our couple will be able to control the thermostat, security system, and lights with only a click, while ordering room service with another app on their smart devices. This technology is here and it is an exciting time for anyone wanting to enjoy all of the amenities of home while away. 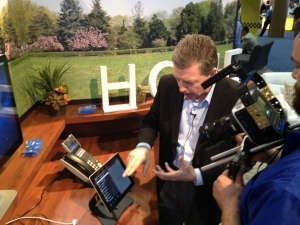 The future technology available for hotels and other hospitality venues will be on display at the HITEC technology show in Los Angeles from June 23 through 26. We’ll be there showcasing some of these amazing innovations, so please stop by NEC’s booth If you cannot attend, please visit our hospitality solutions page to learn more about technology that helps make your guests more comfortable, and your staff more efficient. Today is the day! NEC Corporation of America (NEC) has announced the general availability of its UNIVERGE 3C Unified Communications and Collaboration (UC&C) software. Originally announced in March, NEC's product team has been working diligently to test and deploy the solution so that it is ready for prime time. Meanwhile, our sales support team produced a great module overview of the UNIVERGE 3C UC Client, its features, how it works, and overall benefits to end users. This video module overview is part of NEC's Focus On UC series now available on our YouTube channel (youtube.com/interactivenec). We hope you'll take a few minutes to check it out! Hey Buddy!, I found this information for you: "Poor 2008 Economy Creating a Window of Opportunity for Small & Medium Businesses to Grow". Here is the website link: http://nectoday.com/poor-2008-economy-creating-a-window-of-opportunity-for-small-a-medium-businesses-to-grow/. Thank you.